Question: Asainwiki, when will you update Suda’s long list of awards? Please? Love Mar 23 2019 3:42 am @sushiroll seriously?? That's totally amazing!!! Nao Jan 26 2019 1:16 am I think he is really really underestimated ...most actors will rise to popularity just because of some rule or some company that promotes them but for Suda it took a lot a lot of time and effort to be the lead actor although he is very talented ...this world is weird since no body care about talent ..
Irene Dec 26 2018 10:23 pm I can’t control my heart, my heart is not working. It’s the point where I can’t center. I’m becoming hopelessly enamored with you. Meann Nov 12 2018 11:15 pm Omedetou Gozaimasu Sudacchi for your first sensei role in 3 nen A kumi. I'm looking forward to it.The plot is interesting! Asoka Nov 06 2018 2:42 am I just finished the my little monster. I love it ? Masaki looks like Matsumoto Jun in this movie. Meann May 28 2018 6:19 am @LalaLady I saw somewhere in Twitter that Sudacchi and Yamada are teaming up for the new drama, "Dele" set to start airing in July. But I'm also not sure, please someone correct me If I'm wrong. LalaLady May 27 2018 5:24 pm Does anyone know what movie/series/project he’ll be in together with Takayuki Yamada? I’ve always seen them together a lot these past weeks. @rei thank you for replying! Hoping to see him in it in the future. @Meann Though he still looks a bit “young” for a teacher portrayal, but hope it all goes well for him! And wow! Luckyy! Still waiting for the day TonaKai! Would air here at our place. Meann May 06 2018 5:42 am I saw Tonari no Kaibutsukun this Golden Week. And i loved it very much! You slayed again your role as always, and turns out with a perfect acting. I am a foreigner and seeing it without subtitles and still loving it is a wonderful experience for me. Cheers to the success of TonaKai! And looking forward for your next movie. Sumi May 06 2018 5:02 am Suda is at least for me the best actor for his generation. He could literally portray any role. He has done a wide range of roles from a nerd, a bully, a cool guy, a crossdresser, a psycho just to name a few. You sometimes wonder what else could there be for him. I do hope he get a teacher role since he wants to try it and Ryoma Takeuchi who is the same age as him just recently had his first teacher role so maybe Suda too someday. Tho personally I want him on a doctor role, seeing him on an all white medical uniform in Kiseki was such a tease. Lou Apr 07 2018 12:52 pm Hello there, I saw him in Drowning Love and he was hella badass and hella handsome and freaking cool, his acting is so good. That movie was so good, like I, love it so much, but I don't know if they got together at the end. And I'm looking forward to My Little Monster! Prim Dec 26 2017 6:14 am Not your usual ikemen, but fudge, once he gets on with his acting, you're really gonna crave for him! @Meann that would be nice and I would like to see him in mature roles, but as I see it, it will take a while before he can portray sensei roles. Like for instance, Oguri Shun, Yamapi, Ikuta Toma - they are in their late 20's/early 30's when they had sensei roles. Meann Dec 07 2017 5:39 am I read somewhere that he wanted to portray a Teacher role and not a student anymore in the future. I'm hoping for this. As for your question, Suda said himself for that statement, about it will be his last work wearing a student blazer (i think he said that on the movie website interview), perhaps because he already feeling shy and too old for that LOL (he wore gakuran during his highschool) You can heard him said that on his ANN episode with Yamazaki Kento. Well, i think it depends on what kind of project and role he will take, but maybe what he mean is something like a love-school things. I'm actually wondering though, ANN said that the movie, Tonari no Kaibutsu-kun will be his last movie playing a student in uniform. Does this means he won't be appearing in any school/student-related roles? I can't see any articles (in english) regarding this statement. Meann Nov 11 2017 2:51 am Oboreru Naifu made me a big fan of Masaki Suda. Now I'm binge-watching his movies and dramas. Many find him not handsome. But OH God, watch his acting, he is superb and charismatic. He also loses weight just for that movie. I'm waiting for your next live action adaptation of Tonari no Kaibutsu-kun to show next year. Sudacchi, you really deserve to be the #1 National Ikemen Treasure of this year. Banana Jul 15 2017 6:32 am One of the most versatile actors I've seen. His photos don't do him justice, it was until I saw him deliver his line that made me go, "Oh, I gotta watch out for this dude." lalala Jul 05 2017 6:04 am Suda is an amazing actor that does a great job at portraying all sorts of roles. I'm really looking forward to him as Haru in My Little Monster. P.S. That photo they chose really doesn't do him justice, and is honestly one of my least favourite photos of him. Mikeeunicorn Jul 02 2017 11:21 pm Part of my top 10 fave Japanese Actor and probably the most sweetheart from all. I cant believe I have grown to love him JUST this year. Huhu. Ponyo Maria May 21 2017 2:56 am He is definitely my favorite actor. He is very versatile and he is not afraid to try out roles that are vastly different from the ones that he has already done before. He did all of them really well too. His acting skills are superior. He's the best actor in his generation in my point of view. Qonita indah May 17 2017 6:49 pm I'm in love, that's it. Aly Mar 23 2017 1:04 am Suda Masaki is one of the top-notch actor in Japan. I cannot say that he is an ikemen (But he looks like one in Pretty Proofreader) but his skills as an actor cannot be questioned. So young and yet so versatile. He took up a lot of way way different kind of roles and you won't see traces of other characters whenever he acts. No matter how much I love Yamazaki Kento and Kentarou Sakaguchi, I can definitely say Suda Masaki is #1 in his generation in terms of acting skills. diane Mar 21 2017 2:31 am @passerby_0925 agree.... Masaki-kun ....saikou!!!!!!!!!!!!!!! michanabwa Jan 30 2017 6:07 am I first watched him in Taisetsu na Koto as a snot-nosed noisy kid, and he continued the bully character for several dramas. In the present now, he's so diversed in acting any kind of personality. I always look forward for his transformations in dramas. I recently watched Jimi ni Sugoi! Suda Masaki finally played a good looking character I'm so proud :') he's worked so hard doing lots of projects since last year. hope you'll get the appreciation (award) you rightfully deserved! ve bian Oct 23 2016 5:32 am I love this kid when he's acting! Hope u can be the lead caracter in movie/dorama someday. fine Sep 02 2016 10:20 am ah I love your acting skills and every thing. your really good. You can act as a perv,cold,genius and cold ..
Charmee Jul 18 2016 9:13 am I really love Suda specially on Kamen Rider, Princess Jellyfish coz he really looks like a girl!!!!! And also Assassination Classroom and Death Noooote sugoiiiiii desu!!!!!!!! Camt wait for those two movieeees!!!!!! Belinda Apr 20 2016 8:47 am His acting quite good, I think. Chan Ya Suk Apr 19 2016 4:19 am Wow, 10 movies and 1 drama (yeah, I counted correctly and still couldn't believe it) in 2016. This guy needs to stop and gets more time to polish his acting instead of pushing in as many movies as possible. How tiresome to see him everywhere. haha Apr 15 2016 8:23 pm would be nice for his career if he takes some acting lessons. youth and a pretty face dont last forever. Diana Apr 08 2016 12:57 am Philip! (*-*) Suda-san one of my fav actor! kiri Feb 18 2016 8:15 am Amazing actor! Wishing him the best! krishim11 Dec 08 2015 9:12 am Really one of the best actors of his generations. He can almost act any characters. He is really promising. joy Oct 03 2015 2:42 am one of my favorite young actors. He is superb in acting. Began to like him in hammer session and juui doolittle. reg Jul 21 2015 8:53 am My new fave Japanese actor. He's really great in portraying his characters. And goodness, he looks so fashionable in dresses! SiQin Jul 15 2015 8:31 pm I first started to like Suda when I watched Kamen Rider W. I thought he was really cool and acted as Philip really well. He acted as Philip so well that I couldn't stop watching the drama (I watched the whole Kamen Rider W because of Suda). In Kamen Rider W, I really liked Suda's hair. Personally, I believe acting as the good guy suits him. I also couldn't stop watching the part where he sang with Shoutaro because I really liked Suda's voice (I hope in the future I could hear him sing more). 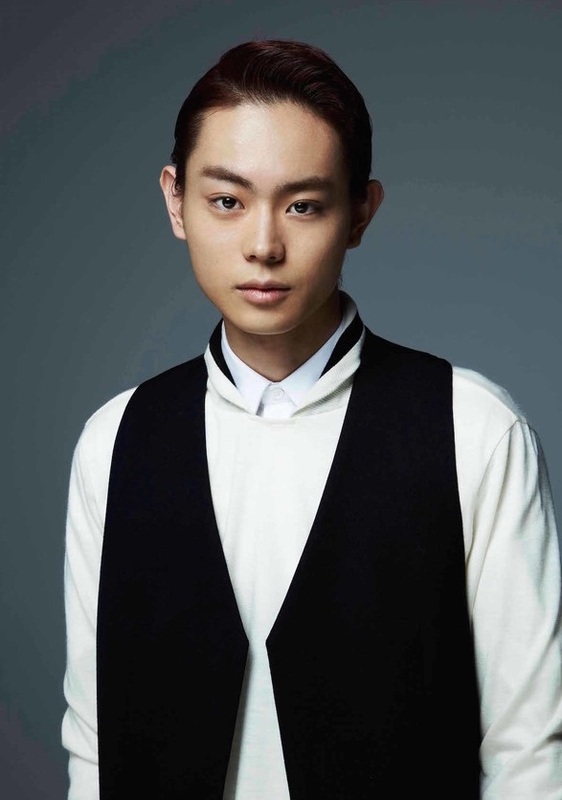 Masaki Suda, I think you are really cool and amazing! Goodluck and never give up! Thank you for being a actor! Bhavana Mar 30 2015 2:44 am Masaki san! you are really a star that shines in the immense sky.God have blessed you with great talent.May you shine always brighter and brighter in your career. may god always bless you!!!!!!!!! Mike Warr Feb 12 2015 1:42 am Hey, I saw this guy in Girl in a Sunny Place. Awesome Film. He was not the main actor but he was Fantastic and helped to make that film an awesome Film. I cant wait to see this film too. Sakurai Nozomi Nov 27 2014 10:38 am Suda Masaki-kun, my sister is your number 1 fan! She's really like you! chichi Aug 19 2014 11:04 pm I'll be looking forward to his role in Kuragehime. He looks so adorable there. I mistook him for a girl though. Haha. arinah shakira Sep 25 2013 8:15 am masaki suda hope you still acting in kamen rider because you are so cool and hensem.kamen rider w is the best i ever watch. putra Dec 12 2011 10:04 pm I really like his hair! Roseii Apr 14 2011 2:01 am I love all the shows that I hhave seen you in. Thank you for being the way you are! I can't wait to see you in the next show and movie! Happy belated Birthday! marsya Feb 17 2011 8:03 am i love his outfits in kamen rider w!! mari' chan Sep 17 2010 6:04 am will appear in juui dolittle a.k.a Veterinarian Dolittle as DOMON JUNPEI...yatta!!! i can't waiting for that drama...huhu Ganbari masu...masaki-kun!! !